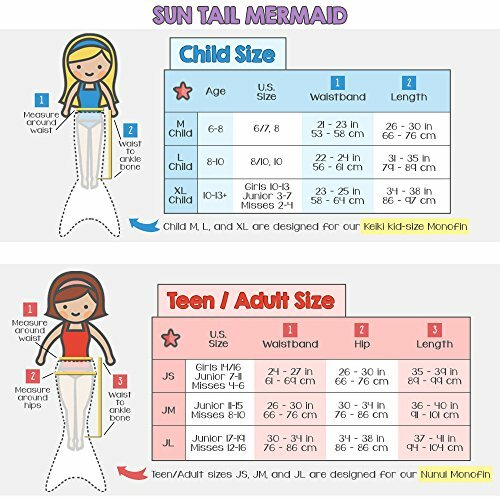 Little swimmers can channel a mermaid with this swim fin and tail set. 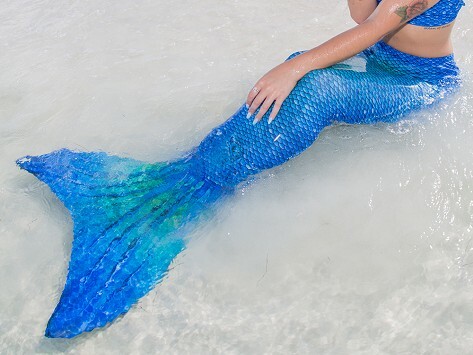 The durable and flexible monofin design gives kids propulsion and mermaid-like movement in the pool (under the watchful eye of an adult) while a stretchy, sparkly, pull-on tail completes the look. Weight: Child: 1.875 lbs. ; Teen/Adult: 2.875 lbs. This Birthday gift was a hit! My daughter aged 31, has always loved water and was a lifeguard for 8 years!!! She has a beautiful tattoo on her foot that looks like her skin is peeling back and there are scales underneath!!! I am 60 and I LOVE it!!! My granddaughter.absolutely loves this mermaid tail. She can swim far w the fin insert.